This beautiful wedding photo is from the gorgeous wedding of Jenny and Adam. This photo was taken at one of the amazing Lake Eric beaches on the west side of Cleveland, Ohio. 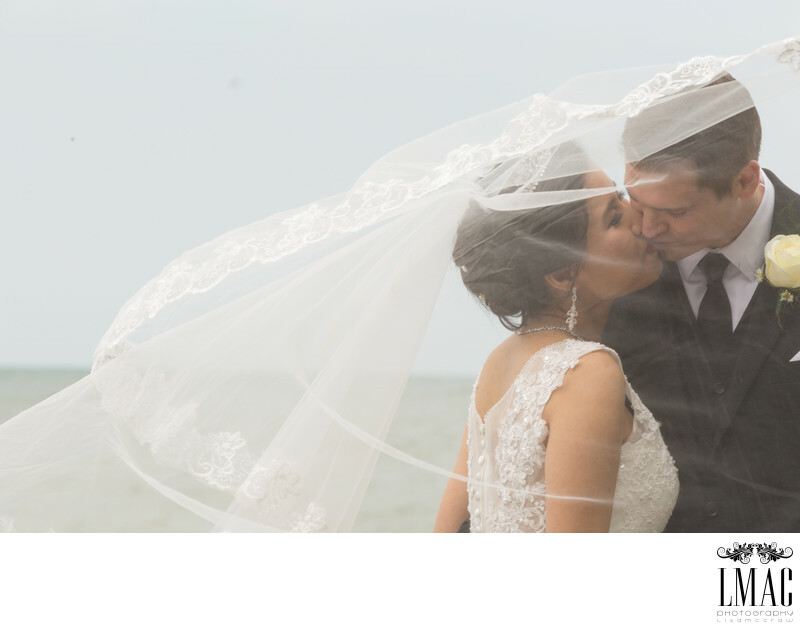 Jenny and Adam's wedding photos were so beautiful that we submitted them for publishing at Today's Bride Magazine. We also entered a photo at the International Shoot and Share contest. Jenny was a stunning bride and had actually practiced her wedding day photo posing. It was so helpful to us to photograph a bride who knew what poses she liked and executed them flawlessly. Jenny and Adam were married at Bay United Methodist Church in Bay Village, Ohio. Their reception was held at the stunning Windows on the River, one of LMAC's favorite venues. Windows on the River is location in Cleveland Ohio on the Cuyahoga River.